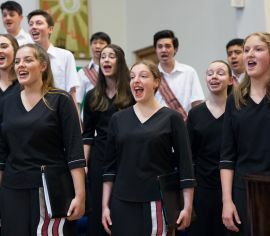 The newly selected NZSSC 2019-2020 will gather together for the first time at the New Zealand Choral Academy. Your chance to be part of this amazing choir for our next cycle! 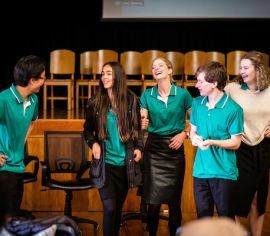 NZSSC takes off on tour to Asia! July 8 to 23. 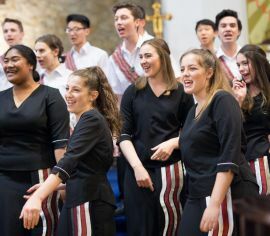 Hear the choir at their very best before they depart on tour to Hong Kong and Shanghai. 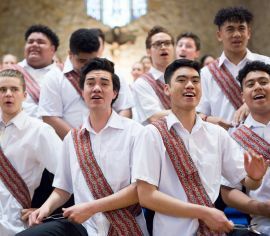 As well as our ticketed concert, NZSSC will perform at the official ANZAC Day Ceremony and on 29 April at St Paul's Cathedral. 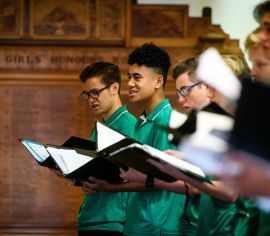 During the school holidays, 23-29 April, the choir meets in Wellington for rehearsals and performances. 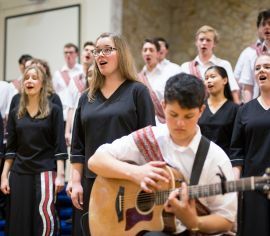 The NZSSC performs in Palmerston North, home to no less than six 2017-2018 members. Sunday January 21 at 2.15pm, Speirs Centre at Palmerston North Boys' High School. The NZSSC gathers for rehearsals in Hastings, with a concert at the Waiapu Cathedral, Napier on Saturday January 20 at 7.30pm. 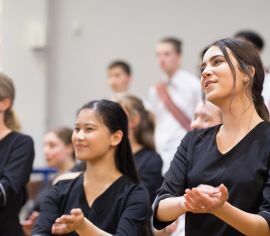 NZSSC comes together in Christchurch in the first week of the school holidays for rehearsals and three public performances. 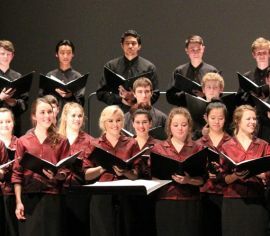 A very special concert with the New Zealand Youth Choir, and guest conductor, Andre Thomas (USA).